As we look back on 2017, here are our thoughts on the market, what we’ve invested in, and how we go about finding and supporting portfolio companies. The good news for technology entrepreneurs in Canada and the US is that there continues to be ample capital available to fuel growth. In addition to the usual market participants that have raised significant new capital, new corporate funds have launched, adding another class of investor into the mix. The desire for these larger corporates to stay connected to the changing dynamics in their markets have led many of them to start their own VC investment funds. As a result, strong companies are getting funded quickly, often with multiple funding options. So too are companies with average results, often at what we view to be at elevated valuations. In an environment where money is plentiful, and investment funds are keen to deploy capital, we believe a heightened awareness is required to maintain discipline. As venture investors, we should be rewarded when the companies we support perform over the long term and create value at exit (IPO or Sale). Deploying capital is the first step, crystallizing value over time is the key step. Before we talk about the investments we have made, we should comment on a number of deals we didn’t consummate. There were a number of promising companies we looked at, but ultimately, felt that the investment parameters would make it difficult for us to achieve our targeted returns and so elected to pass at the time and follow the companies for future investment opportunities. With multiple funding options, entrepreneurs are increasingly asking more questions about how they will be supported. As a team who has spent the bulk of our time starting and building companies, this requirement is playing to our advantage. Entrepreneurs are looking for practical and detailed advice, from how to sharpen their messaging and positioning, to what to look for in the next VP of Sales, to specific recommendations on who to hire. This focus on adding value and deeply supporting our companies is driving referrals for new investments and leading entrepreneurs to include us in their syndicates. Part of our strategy is to invest alongside other investors to bring additional talent, capital and connections to a deal. This approach is enabling us to flex-up into deals when capital requirements exceed our parameters, and get introduced to new opportunities through our relationships. Now, more than ever, it is important to be disciplined and invest in companies led by strong teams that have found product/market fit in attractive markets, have an unfair advantage in those markets, and are looking for additional expertise from former operators on how to grow their businesses faster. We continue to focus our efforts on Series A/B stage technology companies that sell to businesses (B2B), operate in large and specialized markets, provide demonstrable ROI, and can deliver strong customer acquisition metrics. Most importantly, we are favouring companies that organize their businesses to deliver great outcomes for their customers. We co-led a $75M investment alongside Sageview Capital into CallRail, a call/messaging analytics company based in Atlanta. CallRail allows marketers to understand who their customers are, why they’re calling/messaging, and the best way to convert them to customers. See why we invested here. We invested in a $37M financing in Top Hat, a Toronto based company transforming the educational experience on campuses across North America for 2M students and thousands of educators. The company recently released Top Hat Marketplace, a platform where educators can create, publish, and share their own textbooks. See why we invested here. We invested in a $15M financing in Manifold, a Halifax and San Francisco based company which came out of stealth mode in September. Manifold aims to give developers the freedom to use their favourite, best of breed development services in conjunction with any cloud platform. We’re excited to continue supporting CEO Jevon MacDonald and his team, as you can see here. We increased our position in New York based Flashpoint Intel through a $28M financing. They deliver relevant and unique Business Risk Intelligence to Fortune 500 companies and governments. See press release here. 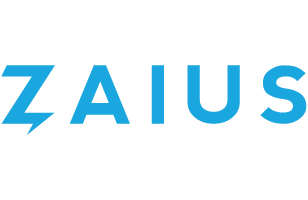 We increased our position in Zaius, alongside Matrix Partners and Underscore.VC. Based in Boston, they provide a B2C CRM platform focused on serving retailers. 2017 represented a strong year of revenue and customer growth. Their customers are seeing incredible results, creating opportunities for larger deals. As we head into 2018, we are also looking closely at three areas we think hold promise: Enterprise IoT, Cloud Computing Optimization, as well as AI-enabled Vertical SaaS companies.